When it comes to those prized Apple goods, you can count on KRCS to support you with expert Apple knowledge. First opening in Nottingham, 1984, KRCS have been providing Apple solutions since way back when the first microcomputer - Apple II - was around. Now renowned as that savvy Apple Premium reseller, for all of the systems knowledge, integration know-how and proven expertise of the Apple computing world - look no further. For your iPhone, iPad, Mac and accessories galore, KRCS is your gateway to an array of Apple products to perfectly suit your every need. KRCS pride themselves on offering widespread services which can be beneficial to a variety of customers. For professional or personal customers as well as those in the educational sector - whether you visit their friendly team in one of their stores, or browse online - you will witness exceptional customer service and invaluable advice from the KRCS team. With over 30-years experience, KRCS can help improve your company with innovative Apple iPads and Vend, while also guide schools and universities to ensure they receive innovative goods to fuel the education of all students. Visit them online, and you’ll find a wealth of information and knowledge on those goods to help better your every day. Click ‘Apply Discount’ and continue to checkout with your savings. Create a KRCS account and opt in to be sent information about product launches, special offers and more to stay with the times of Apple technology for less! Are there KRCS clearance pages? Indeed! You can find discounted goods a plenty on the clearance pages online. Will my KRCS goods come under warranty? You can stay safe in the knowledge that your new Mac, iPad, iPhone or Pod will come with a 2-year guarantee. Please refer to the Terms and Conditions for more information such as what is not covered by the guarantee. Where are the KRCS stores? You can find KRCS in Derby, Doncaster, Hull, Merry Hill, Nottingham and Wakefield. Find more details online. 14-days returns available, email store@krcs.co.uk in the event that you should want to return your KRCS goods. For specific stores, visit the Contact Us page (https://www.krcs.co.uk/contact-us). 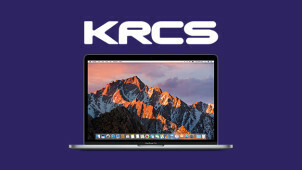 For all of your Apple products and solutions, look no further than the experts at KRCS. Since 1984, they have been providing a whole host of services to Apple lovers all over the UK. A KRCS discount code will let you save on products, installations, system upgrades, troubleshooting and much more. For the leisure or business user as well as for those in education too, with KRCS you can enjoy your favourite Apple products to the fullest. For all your goods and to keep your products in perfect condition too, you can look to the KRCS Support pages for a wide range of repair options. Whether it’s your Mac Pro or your iPhone, all of your devices will be in safe hands with KRCS support. With a blog that’s brimming with information on the latest software updates and much more too - now you can be confident that you’ll be able to extend the life of your prized products with KRCS. For all the apps, shopping on-the-go, facetiming our friends or even business partners - there’s nothing quite like an Apple iPhone. When you want choice, a KRCS voucher can get you closer to retina screens, recent releases, different drive capacities and much more. This is where you can find the perfect model to suit your needs and your style. Plus when KRCS are on hand with nifty advice, repairs and more services - you’ll be sure to enjoy your iPhone like never before.